Located on 7th Street near the Arizona State Route 101 loop, Seven places you in a convenient location near the metro’s finest shops, restaurants and entertainment. Step outside your apartment and catch the Valley Metro to Desert Ridge Marketplace, a premier shopping destination with outdoor fireplaces, an AMC theater and over one million square feet of shops and restaurants. Other nearby destinations include The Shops at Norterra and The Shops at Cave Creek. After a full day of shopping, fuel your body with a delicious meal from one of the nearby restaurants. Times Square Neighborhood Italian serves classic favorites, such as ravioli and fettuccine, along with fresh seafood and cocktails. Sandbar transports you to tropical beaches of Mexico with unique décor, ice-cold cervezas and fresh Mexican cuisine. 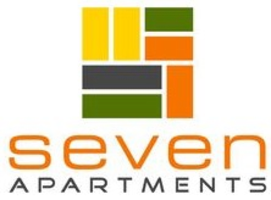 Stop by Seven, located in North Phoenix, for more details about the surrounding area.